With the Gefen Firewire 800 Extender Plus, you can remotely access your Firewire devices such as Firewire hard drives and Firewire cameras as if they were connected locally. 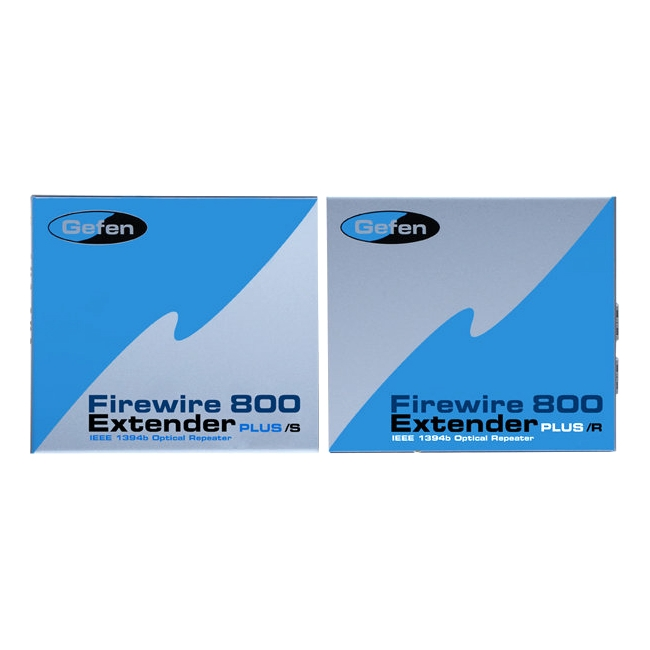 The Gefen Firewire 800 Extender Plus gives you standard 500-meter signal relay at a blistering 800 Mbps plus a powerful additional bonus: the ability to network (or "daisy chain") transceivers to get a much longer total extension than usually possible with Firewire extenders. Firewire data relay networks of up to 18 miles can be created in this way.